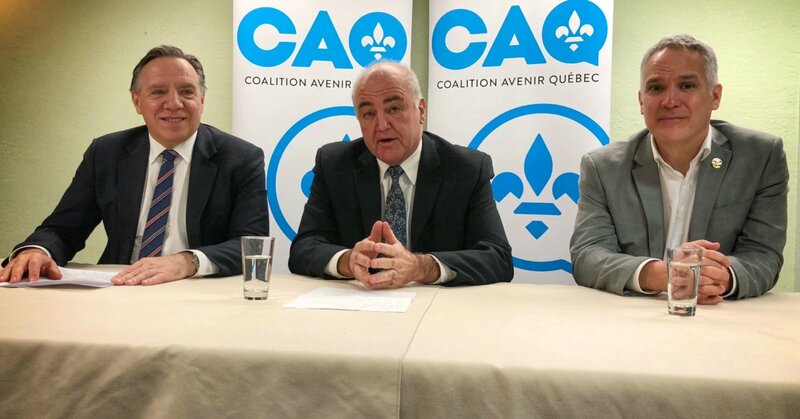 The leader of Coalition Avenir Québec (CAQ), Francois Legault, is proud to announce that Denis Lamothe, who worked for nearly 30 years as a police officer for the Sureté du Québec, including several years in the Nunavik communities, has joined CAQ to represent Ungava riding during the upcoming Provincial general elections. For the CAQ candidate, it is imperative that the Member of the National Assembly (MNA) from Ungava has a good understanding of the realities of the Inuit communities of Nunavik. “ I stayed in Kuujjuarapik and Kuujjuaq for nearly 6 years. My work brought me close to the residents of the Nunavik communities. I am engaging in active politics because I am determine to improve the quality of life of the residents of Nunavik, which includes providing better government services that will meet the needs and expectations of the residents of all the communities of Nunavik “, explained Denis Lamothe. For Francois Legault, Denis Lamothe’s experience will permit the CAQ to connect with the realities experienced by the citizens of Nunavik. “ Denis deeply loves northern Québec and the people who live there. While working in an Indigenous milieu, Denis has built a reputation as a man who is trustworthy, a man of integrity, with sound judgement “, highlighted the leader of the CAQ. “ The CAQ team represents the real change that we all need so much! That is exactly the reason why I accepted to join CAQ. I want to improve the quality of life of the residents of the Nunavik communities, starting with Youth, that represents our future. The time has come to give them hope and to tell to our youth that they also have the right to have goals, to succeed. Ungava County needs a strong candidate at the National Assembly in a CAQ-led Government. A government that will make it a priority to put youth at the center of its plan of actions “, according to Mr. Lamothe.